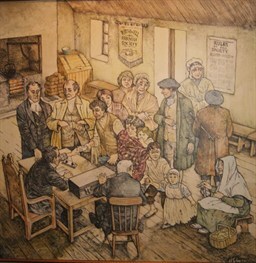 The original Ruthwell Parish Bank is now home of the Savings Banks Museum .This unique little museum is located in the 200-year old cottage which is the birthplace of the world savings bank movement. It is consistently described by visitors as 'a little gem' and 'an unexpected find'. themselves, by encouraging thrift. saving Bank museum was so successful that the idearapidly spread. Duncan (1774-1846) - author and publisher, antiquarian, geologist, artist and philanthropist.